On the Friday, 24 th November 2017 the Croatian Regulatory Authority for Network Industries (HAKOM) published in a Official gazette (Narodne Novine) No 116/2017 changes to the rules on amateur radio communications in the Republic of Croatia. 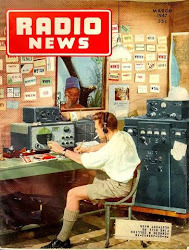 According to this changes Croatian radio amateurs now have access to the WRC-15 60m amateur secondary allocation of 5351.5 – 5366.5 kHz under ITU Footnote 5.133B - i.e. with 15W EIRP. According to the Official gazette notice, these changes come into force 8 days following its publication, so we should expect more Croatian stations after 02.12.2017. I would like to express my great gratitude to HAKOM, because in the last few years they has issued a temporary one-year licenses for 60 meters to Croatian radio amateurs. 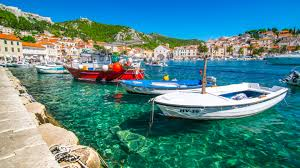 As one of Europe’s most popular beach destinations and blessed with year-round sun, Croatia’s historic towns and idyllic islands have a wealth of natural attractions to offer. From rolling vineyards to sweeping coastal cliffs, here are 10 of the most beautiful places in Croatia to add to your itinerary. With its imposing sea walls overlooked by the imposing Lovrijenac fortress, mass of terracotta-colored rooftops and dramatic cliff top location, the self-proclaimed ‘Pearl of the Adriatic’ is one of Croatia’s most visited destinations. For the best views, catch the cable car to the peak of nearby Mount Srd or take a scenic walk along the City Walls, then take in the highlights of Dubrovnik’s UNESCO-listed Old Town, known for its shimmering marble streets, grand baroque churches and magnificent 16th century Sponza Palace. 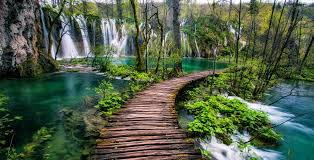 A natural wilderness of azure lakes, tumbling waterfalls and forested mountains, the Plitvice Lakes National Park is one of Croatia’s most celebrated National Parks and UNESCO Natural Heritage sites. Take a hike around the 16 interconnected lakes, learn about the naturally formed travertine dams and keep your eyes peeled for brown bear and lynx prowling through the woodlands. Stretching north of Zagreb to the Slovenian border, the picturesque Zagorje region is dotted with medieval castles, hilltop vineyards and thermal springs. Explore the historic town of Krapina, tour the traditional wine taverns, visit the fairy-tale Trakošćan Castle or take a hike through the scenic highlands. 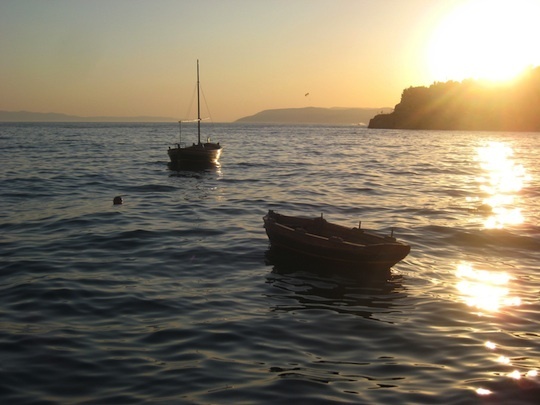 Half way between Dubrovnik and Split, Makarska makes a popular stop on cruises around Croatia, with its lively beaches and colorful harbor set against the craggy peak of Mount Biokovo. It might be a quieter choice than its neighbors, but there’s still plenty to do in Makarska — make the most of the family-friendly beaches, celebrate Croatia’s swashbuckling past at the Pirate Festival in nearby Omis or hop on the ferry to Brač Island. 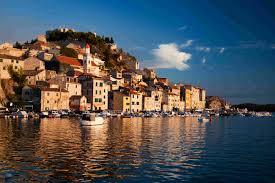 One of Croatia’s southernmost islands, Mljet Island and its eponymous National Park are well worth the journey. 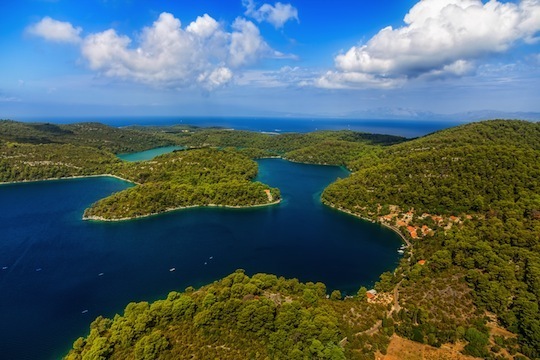 An expanse of greenery, punctuated by glittering saltwater lakes, dense pine forests and shaded lagoons, Mljet is a paradise for lovers of the outdoors. Once you’ve tackled the many hiking and biking trails, enjoy kayaking on the lake, discover the eerie Odysseus’s cave or go wreck diving off the coast. Another top attraction of the Dalmatian Coast, Croatia’s second-largest city is a major port and an important starting point for island-hopping cruises and day trips. The magnificent UNESCO-listed Diocletian’s Palace is the city’s top attraction, but there are also plenty of opportunities to enjoy outdoor activities in Split with white water rafting, rock climbing and sailing tours all available. A slim headland stretching from the mainland to Korcula Island, the Pelješac peninsula is renowned as one of Croatia’s top wine tasting regions, producing acclaimed varieties like Dingac and Postup. Once you’ve explored the region’s traditional wineries, tuck into local oysters and mussels in Mali Ston, catch some waves in the windsurfing hotspot of Viganj or scale the summit of the looming Sveti Ilija Mountain. 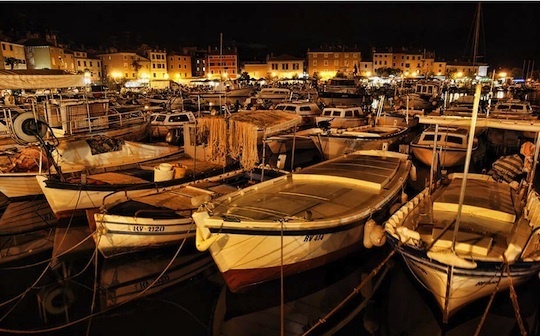 The star attraction of the northern Istrian peninsula, the traditional fishing village of Rovinj entices a steady stream of travelers up the coast. 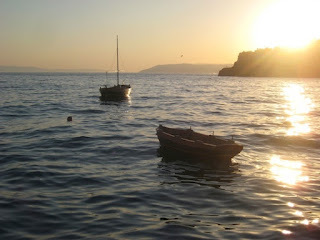 Laid-back and effortlessly charming, Rovinj is a world away from the bustling resorts of the south, but that doesn’t mean you’ll get bored - discover the verdant islands of the Rovinj archipelago, hike through the woodlands of the Golden Cape or seek out a little known sunbathing spot along the coast. The elegant Croatian capital often loses out to the coastal resorts, but the medieval alleyways and sprawling parklands of Zagreb are worth a detour inland. Check out the city’s top museums, take a stroll around the scenic Lenuci’s Horseshoe, ride the funicular up to the Old Town of Gornji Grad, or escape the capital for the lush highlands of the Zagorje region. The Adriatic coast is littered with islands, but for the best scuba diving in Croatia head to the Kornati Islands National Park, a rocky archipelago of over 140 islands, where you’ll find acres of uninhabited land, colorful reefs and a kaleidoscope of tropical fish. Dubrovnik’s most popular beach—which draws in so many tourists due to its proximity to the Old Town—made it onto our list thanks to its scenic views of the city’s walls, variety of water sports and beach activities, as well as the abundance of dining and drinking options. At some point, most visitors are likely to wind up at Banje Beach Restaurant, Lounge, and Club—which can get quite touristy (it even turns into a night club after dark)—but remains a consistent option for good food, tasty cocktails, and a killer view. If you’re looking for something a little more formal—or a little less crowded. head to nearby Restaurant Horizont, which turns out fresh, first-rate Croatian fare in a quaint, medieval setting. It has videos showing propagation predictions for that early 2018 timeframe. The tab for the propagation is in the header menu. You can choose time, frequency and signal strength for your QTH. This is based on the average sunspot numbers forecast for January, 2018.